Tailwind Nutrition Endurance Fuel is now Informed-Choice Finished Product certified. 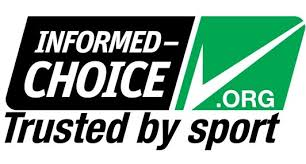 Products certified by Informed-Choice serve as a global gold standard, demonstrating a high level of commitment to quality assurance available to the sports supplement industry. Certification under the Informed-Choice program includes a detailed review and assessment of manufacturing processes, testing across multiple batches and post-certification testing through monthly blind sampling. Products that carry the Informed-Choice logo are regularly screened for banned substances, down to part-per-billion levels. Informed-Choice was established by LGC, a world renowned anti-doping laboratory with over 50 years’ experience in doping control and research in sports. With the support of key players in the supplement industry it has since become an international standard in sports nutrition quality assurance, allowing companies like Tailwind to best meet the needs of consumers, elite and amateur athletes, coaches and nutritionists.Informed-Choice is recognized by a growing number of National Anti-Doping Organizations (NADOs), the Institute of National Anti-Doping Organizations (iNADO), and a host of sporting bodies such as the United States Ski and Snowboard Association and the Australian Institute of Sport (AIS). This is a monitoring program where batches of each registered product are tested on a monthly basis. An enhanced lot testing program may be in place for products with high production frequency. Products are purchased at retail by an LGC administrator and sent to the lab for testing to ensure the products available to consumers are being monitored and tested. Additional batches are then tested separately for drug testing teams and athletes to ensure they are receiving the tested batches. Companies will send these samples in as needed and set some aside to provide directly to the teams. The benefit of this program includes monthly retail monitoring for general consumers and specific batch testing for drug tested teams and athletes. 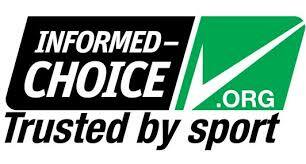 Products registered with Informed-Choice and Informed-Sport can be found at www.informed-choice.org. or http://www.informedsport.com. Informed Choice in the US sister organisation to Informed Sport in the UK and we have batch of product which has been further tested by UK laboratories for use by GB Team members who are on a drug testing program and those in the military who require Informed Sport approval.